The WE9000 Cantilever Manual Sliding Gate is a cost effective, low maintenance and simple way of s manually controlling access to unauthorised areas. The internal roller mechanism ensures a smooth and consistent ease of operation providing a durable and efficient service for years to come. Optional spikes line the top of the gate to deter intruders. The 6mm wall thickness, evenly spaced individual aluminium bars fitted as standard, further add to the sturdy appearance. A heavy duty locking mechanism as standard will give you peace of mind in the knowledge that the lock is as tough and secure as the gate. 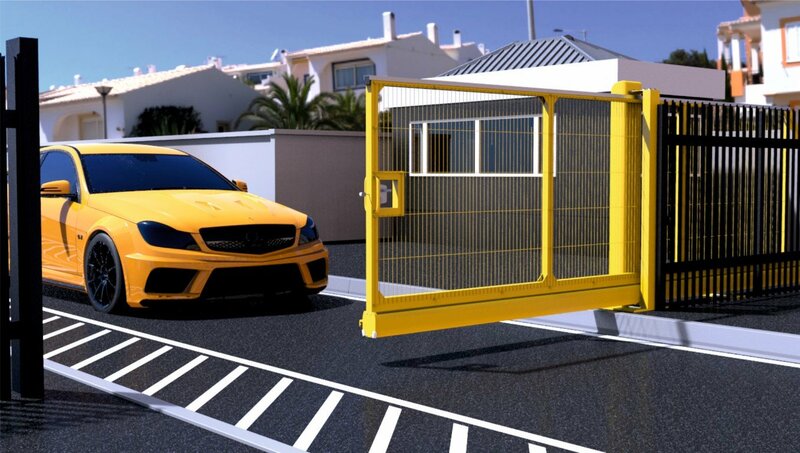 The manual gates share the same flexibility as the automatic range offering a vast choice of infills such as palisade, mesh and customised, which can be easily applied to the gate frame if the standard tubular bar is not suitable for the environment. The gate is delivered as a complete unit and lowered on to pre-installed concrete plinths. Fixings: M16/M20 Anchor Shield Bolts Incl.